Food is as much a part of traveling as hitting the beach and museums. Food brings you closer to where you’ve traveled, tells you a lot about the culture, fuels the family and keeps their tummies happy. To really take advantage of your travels, pay attention to what you love when dining out. 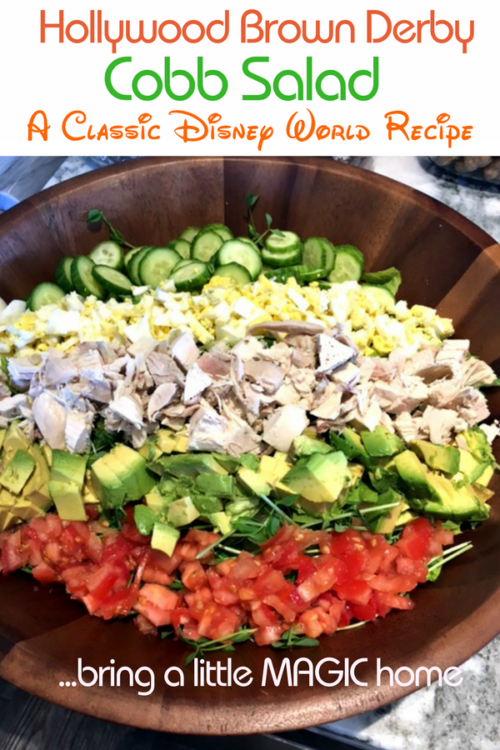 Then, when you get home, it will be easy to re-create some of those favorite dishes, like this classic Brown Derby Cobb Salad Hollywood Studios Disney World recipe inspired by a favorite meal and vacation memory. Adding the “to die for” dressing to my version of the Hollywood Brown Derby Cobb Salad. 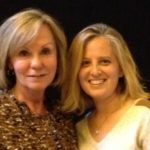 Photo credit Dana Zucker, Luxe TravelingMom. Whenever and wherever we travel, we love to eat. 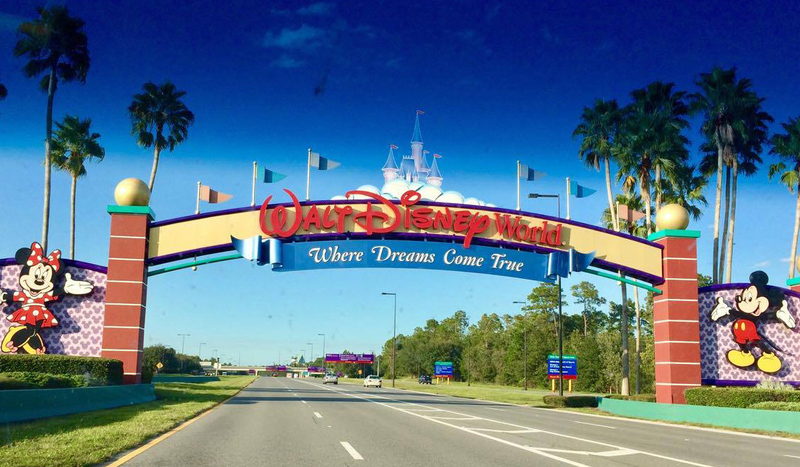 So, arriving at Disney World is always an exciting time for the entire family with the resorts, characters, rides, parades, and of course, the food. Whether you are at a resort, Disney Springs, Epcot, the Magic Kingdom, Hollywood Studios, or the Animal Kingdom, amazing food abounds. This means you have many opportunities to bring the parks home with you by making a classic Disney World recipe. One of the classic dishes at Hollywood Studios is the Brown Derby Cobb Salad and its “to die for” dressing. This is seriously what led me to get my first Disney cookbook back in 2006. I still open it up today to make that dressing despite the pages now sticking together. Let’s just say it is so old it’s the first edition. We first discovered this Hollywood salad back when the twins were little, and we had a fabulous babysitter with us at Disney World. As I’m sure you can relate, we, the parents, were worn out after a morning in the park and just wanted lunch and a glass of wine. But, the kids wanted to go on “one more ride”, which of course meant 10 more rides. So, we sat on a beautiful patio while the kids and their babysitter kept the thrills alive. My husband and I decided to get one Hollywood Brown Derby Cobb Salad to split and wait for the kids to come back and order. Well, we finished that salad, shared another, and proceeded to order more for the three of them. Over the next couple of days, we even went back several times just for that salad. Of course, when we got home, I knew I had to make this salad for the family. The most important thing to remember when building any salad is to use what you and your family like, what fits your family’s lifestyle, and what you have on hand. That’s precisely what I did for my version of this classic Disney recipe. But, I really feel it’s the dressing that makes the salad. 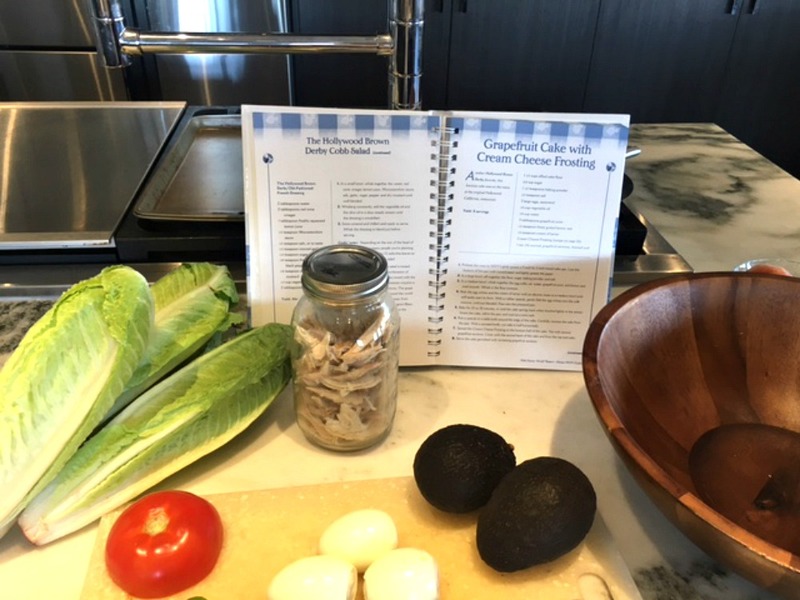 While I may make some adjustments to the Cobb Salad, I always use the salad dressing recipe from the book. 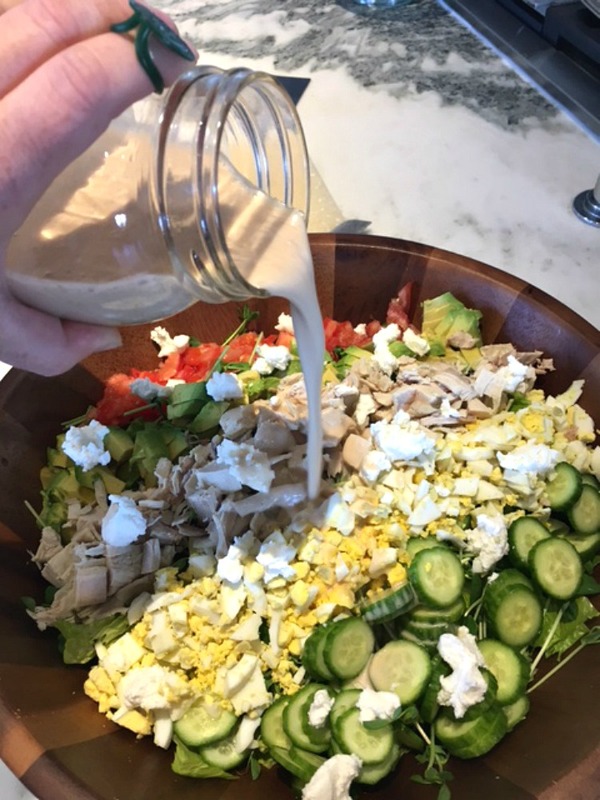 The cookbook version of the Hollywood Brown Derby Cobb Salad dressing. Photo credit Dana Zucker, Luxe TravelingMom. This salad yields 6 servings. 3-4 cups chopped greens – I’ve used romaine, kale, spring mix, and others; whatever I have on hand. I stay away from iceberg as, in my opinion, it has little nutritional value. 1 pound protein – I poach a chicken each week to use for lunches and will use that, but you can use turkey, steak, ham, or even tofu. 4-6 chopped hard boiled eggs – My rule of thumb is 1 egg per person. 3/4 cup cheese – A classic Cobb calls for blue cheese, but I use what’s in the house, like farmer’s goat cheese and especially if I want to watch the fat and calories. 6 strips bacon – I do a strip per person. Add any other veggies you would like – There are really no rules. For a fancy serving, you can layer the salad and make it look very pretty or you can take all of the prepared ingredients, place in a big bowl, and toss with 1/2-3/4 cup salad dressing. This recipe is the original recipe with a few ingredient changes. It is a favorite in our house, so I make a larger batch and store it in the refrigerator. 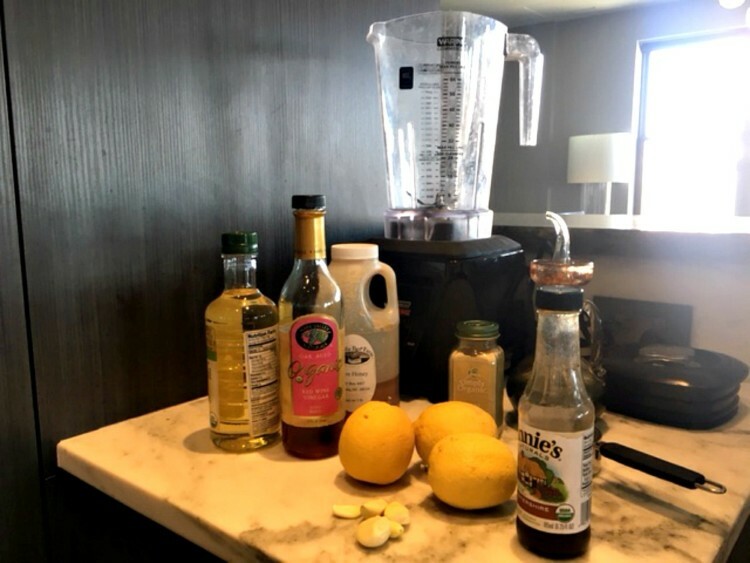 The ingredients for the classic Cobb Salad dressing. Photo credit Dana Zucker, Luxe TravelingMom. Take all of the ingredients, except the oils, and pulse in a food processor or blender. Add salt and pepper as needed to taste. Start blender again and add oils while blender is running. Store in a glass ball jar in the refrigerator. 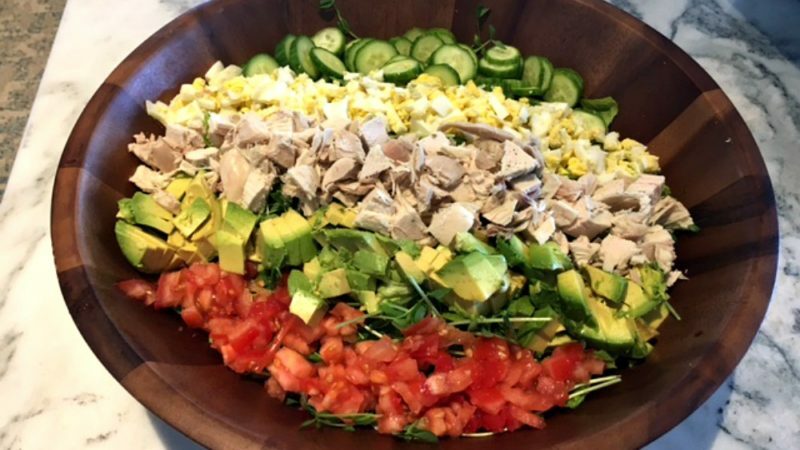 As I said, when I prepare the Hollywood Brown Derby Cobb Dressing, I make several adjustments to fit our lifestyle. For the original recipe, I suggest buying the Cooking with Mickey and the Disney Chefs cookbook. It’s a lot of fun. You can even cook with the kids! What’s your favorite food at Disney World? A nostalgic favorite is the chef salad at The Crystal Palace back in the 80s. Today, it would have to be the really buttery escargot at EPCOT in France.